There are several methods of harvesting energy for a house but non of them are as important as providing excellent levels of insulation, air tightnessA measure of how leaky a building is to air. In other words, how draughty it might be. There are now standard fan pressure tests to check how air tight a house is and the Building Regulations have minimum standards for all new houses (L1A – Conservation of fuel and power in new dwellings (England)). A much higher degree of air tightness is covered by the Passivhaus standard and energy efficient appliances in the first place. Witness to this fact is the design of the PassivhausSee more on the Passivhaus standard. The PassivHaus Institute has pioneered a standard for low energy buildings. It includes very low energy usage and ways of achieving this. The word is derived from the idea of buildings which are fundamentally low energy and passive solar heated rather than using extra gadgets to heat them. See Passivhaus for the UK branch of the organisation. which is so well insulated and oriented towards the sun that it needs no central heating system. Solar Hot Water is available to most houses providing there is a good southerly aspect or good aspects to both east and west. As a rule of thumb you can collect about half the heat you need for your domestic hot water. Wind Energy is only really viable if there is a fairly constant wind and little turbulence from surrounding buildings, structures, woods etc. 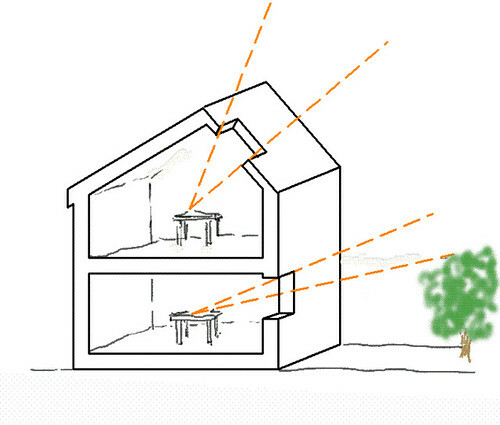 Passive Solar Design is very possible given walls which are SE, S, or SW facing and get good sunlight. This is what is mainly used in the Passivhaus design. PVPhoto Voltaic. referring to the generation of electricity from sunlight Solar Collectors although still quite expensive to install, some people are making their houses ‘PV ready’ for when prices fall. Government incentives have been largely withdrawn. Ground Source Heat Pumps although enjoying a new found popularity need considering in the context of the electricity they use. If you don’t have a large area of garden to lay the pipes you can sink them downwards in bore holes. Air source heat pumps can go pretty well anywhere but may be unsightly in many situations. Not to be confused with solar panels or Passivhaus (although these may both be associated with passive solar design), passive solar basically means collecting the sun’s energy with the minimum use of gadgets – simply allowing the sun to get into the house and trap it there. 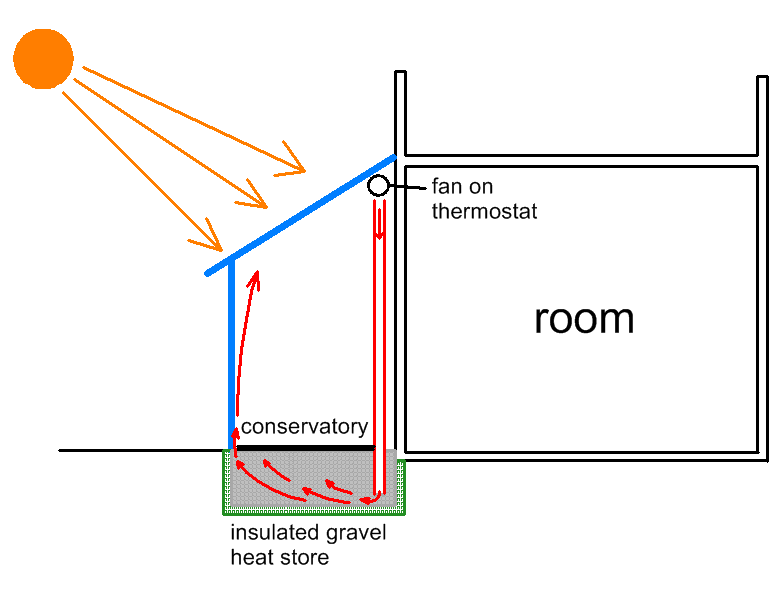 Almost all houses do gain heat from the sun whether or not by design and many overheat in summer. Even on overcast days there is usually some useful radiant heat coming from the sky. However, partly because of the UK’s maritime climate and its generally short and unreliable periods of sunshine there have not been many serious attempts at passive solar housing. The SAPStandard Assessment Procedure - the method used in the building regulations for calculating the energy use of a house. calculations in the building regulationsThese are the mass of regulations that cover safety, health, welfare, convenience, energy efficiency etc. in the way buildings are constructed. Not to be confused with Planning consent (which is more to do with whether you can put up the building in the first place). See more on the regulations do take solar gain into consideration and the continental Passivhaus design method is partly built around carefully utilizing solar gain. The lack of experience and practical examples makes passive solar design a subject which few professional designers can handle. 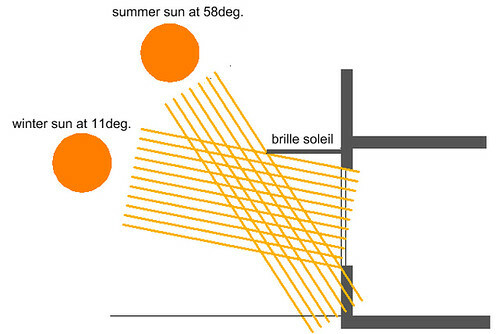 The calculation of how much solar energy is available on a particular building site is relatively simple, just requiring sets of tables and a survey of surrounding shading. The design of the building in terms of its shape and orientation may be a bit more difficult. It is important to maximise the south facing window area (and minimise that to the north) and this may be in conflict with other aspects of the design such as privacy, circulation, views, etc. The real problem comes with the building technology, particularly with the storage of heat and the distributing of it round the house. The capacity that elements of the building have for storing heat and the speed at which they can store it and release it is very difficult to calculate. 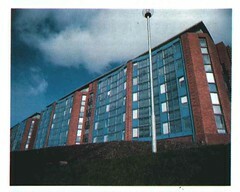 For instance a three storey[for the purposes of part B (fire) of the Approved Documents to the Building Regulations] this includes - (a) any gallery[for the purposes of part B of the Approved Documents] - A raised area or platform around the sides or at the back of a room which provides extra space. if its area is more than half that of the space into which it projects; and (b) a roof, unless it is accessible only for maintenance and repair. house with an open plan ground floor and open stair well will respond very differently from a bungalow with lots of closed rooms. On top of this comes the subject of decrement delayThis relates to the lag time that insulation itself takes to heat up or cool down. It introduces a delay into the effect of the insulation. This can help level out peaks and troughs of temperature. See the section on Decrement Delay which is still not well understood in practical terms. If you do decide to go for passive solar design then the PHPP ( passivhaus planning package ) may be a good place to start because it incorporates the best of low energy design with robust building technology in a way which is well proven and dependable. In fact it may be the only route worth taking for self build because of the well developed design software available. 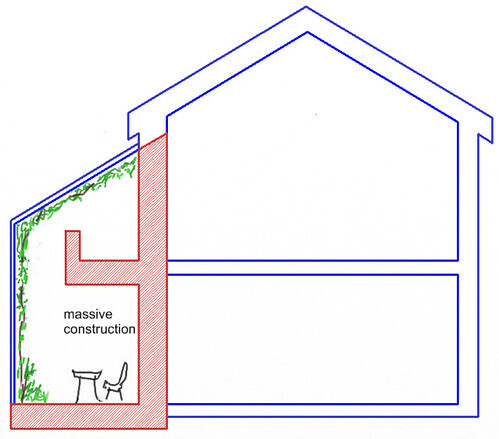 There are a couple of other approaches which may be worth investigating especially for extensions on older houses. They are similar but both depend on special design features: the trombe wallA wall or part of one, acting as a solar collector. Often a layer of double glazing just in front of a heavy, black painted masonry wall, Sunlight heats the masonry. There may be openings (possibly controlled) which allow air to circulate between the glass and the masonry and thus heat the room behind. and the conservatory or sun space. The principle of the trombe wall is shown below. It can be applied to a room or to a whole house. 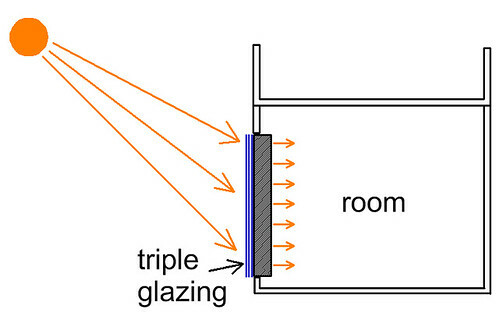 The trombe wall is heated up by sunlight being trapped by double or triple glazing. The wall then slowly releases its heat into the house. Obviously, again, it make sense to have all the larger areas of glazing facing south and limiting the size of those to the north. The wall can have ducts within it to help distribute the heat. A further development of this is to add more thermal storage within the walls, floor and maybe ceiling. This may then require a fan to move the air round. To solve the problem of overheating in summer it is possible to use screens over the glazed areas which allow the low sun of autumn, winter and spring to reach the glazing but it progressively cuts off the high summer midday sun. The rock heat store is a way of taking the hottest air from the top of the conservatory and forcing it down into a heat store formed of rocks and allowing it to percolate up into the space to heat it later. The size and shape of the store, and of its rocks, and the power of the fan, all these as they relate to the volume of the conservatory need calculating to get the best results. It may also be possible to duct the warm air into the rest of the house. Some reports of rock stores have come up with problems to do with smells being given off by rocks which were not completely clean or dry. Another approach to this is to build the wall between the conservatory and the house very massively to help absorb heat. Given that the hot air rises to the top of the conservatory it can make sense to duct it into a massive floor at first floor level. Hollowcore prestressed solid concrete plank floors may work well for this. Obviously some type of control is needed to prevent overheating of floors in summer and there is the possibility of drawing in cool air through such a floor to provide nighttime cooling. These tend to be more integrated into the design of the house often span over two storeys and can incorporate massive elements in their structure and in the wall with the house. This can be used to buffer the temperature and store heat. Interestingly, there have been some successful large scale passive solar buildings designed for the UK climate such as this multi storey student accommodation block at Strathclyde University. This building has virtually no extra heating installed. The south facing wall is totally glazed and has transparent insulation behind the glazing which captures solar energy into the brickwork behind it from where it is slowly released into the building. Automatic blinds are incorporated in the glazing to prevent overheating in summer. Decrement delay is a fairly new subject which is about how insulation behaves in a dynamic situation (dynamic in the sense of fluctuating temperatures). It is quite a simple subject in theory but there are immense numbers of variables in terms of materials and their positioning and also with regard to climate. It still does not figure in the building regulations although it can have a very marked effect on how insulation behaves. Because it is a new and complex subject you will need expert advice if you are thinking about using the building’s fabric in this way. 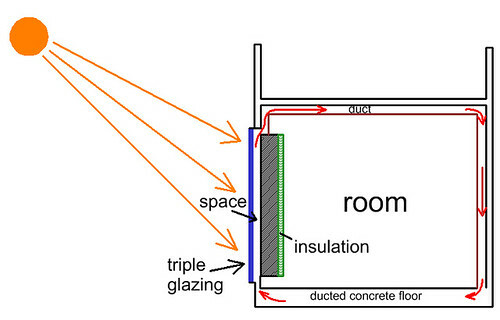 The traditional way to evaluate insulation in a wall or roof is to assume a steady state where the temperature on one side of the insulation is fixed at one level and on the other side it is fixed at a different level and then see (or predict) how quickly heat flows through the wall. For instance a 225mm thick solid brick wall (which has very little insulation) with a winter air temperature on the outside of 0°c and a temperature on the inside of 20°c will have a certain number of watts per square metre escaping out through the wall (about 53 watts/sq.m.). 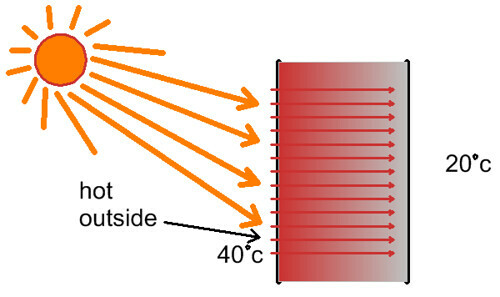 Similarly in summer the same wall might be at 40°c with the sun beating down on it and if it is 20°c inside then heat will transfer towards the inside. It gets more interesting when you have a situation where there is the same summer temperature but you start with a cold wall (cold from the night before) rather than one which is already warm. The heat starts moving in through the wall but before it gets through it has to heat up the bricks, so it gets delayed and only seriously starts to show up on the inside after a good few hours. Similarly, when it starts cooling down at night it takes considerable time for the hot bricks to cool down so much of their heat goes into the room before it starts to travel to the outside. In this way a time lag has been introduced. It’s a bit like the time lag with the earth’s seasons which causes the coldest months to be around January/February rather than in December and the hottest ones to be July/August rather than June when the sun is highest. The trick is to design walls and roofs so that there is about a 12 hour time lag so that it is always exactly out of phase with the sun. In this way you can cancel out the effects of overheating and overcooling. It is important to notice that this only works when there is an outside temperature range which swings above and below the indoor desired temperature. Ideally it swings equal amounts both directions. None of this works in a very long, even, hot or cold spell. Only insulation will work then because once the bricks have heated up (or cooled down) after (say) 12 hours they cannot soak up (or give out) any more heat. The really interesting bit comes when you have a wall which includes mass and insulation either combined (such as insulating clay blocks) or in sandwich layers using dense materials such as woodfibre board. It gets more complicated if you vary the position and size of layers because you can play around with the decrement factor to create different decrement delays. 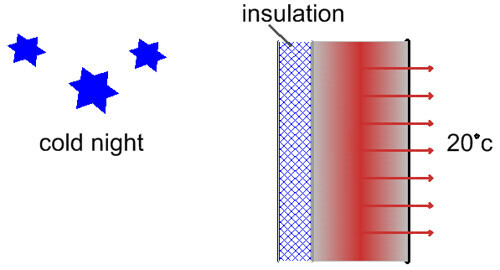 The diagram below shows heat coming in quickly through the insulation (but much less of it) and then slowing down when it hits the thermal massthis is about how much heat something can absorb - so it involves its specific heat capacity and its volume. It can be useful for levelling out the peaks and troughs of temperature within a house. 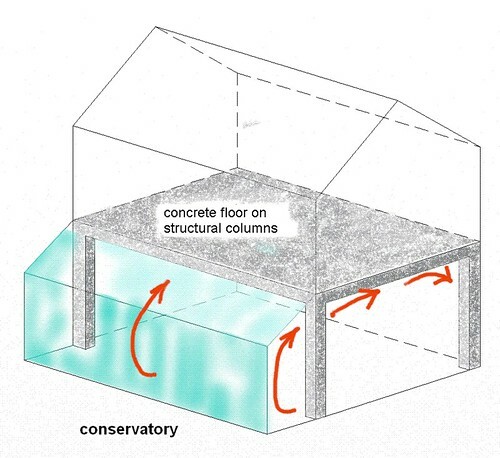 See the page on thermal mass of the solid wall. Later on during the night the trapped heat has trouble getting out through the insulation so it goes into the room. The obvious application for this is in desert areas where it is regularly very hot during the day and very cold at night but in the UK climate there are also seasonal periods when this effect can be utilized, especially in the spring and autumn months. There is an interesting study from the Netherlands which shows two identical houses, except one has a high decrement time and the other not. The graph on the right in this study has a blue trace showing the lower swing of internal temperature. It is quite possible to entirely heat a building year round using solar energy providing you have a very large, very well insulated interseasonal heat store, most likely of water. 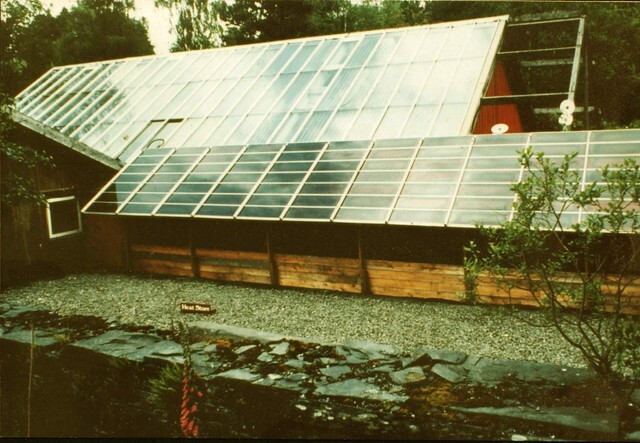 An early example of this was the main office at the Centre for Alternative Technology at Machynlleth in Wales. A CATCentre for Alternative Technology archive image from 1975 shows the 100 cu m. underground water tank heat store being built. It was then lined with a membrane. The water used to collect the heat was pumped over the whole of the roof (about 10 m² and allowed to run back into the store via gutters. This worked quite well for nearly three decades. The building has more recently been entirely replaced. Probably the best method to transfer the heat back into the building is via a pumped underfloor heating system because it can work well at lower temperatures and the water store temperature will be lowest around February/March when heat is needed most. Another, much more recent example of an ISESInter Seasonal Energy Storage is at house in Co. Galway in the Republic of Ireland built to Passivhaus standard with a 23m³ water heat store. (note that the study mistakenly calls it a 23m² heat store at one point). 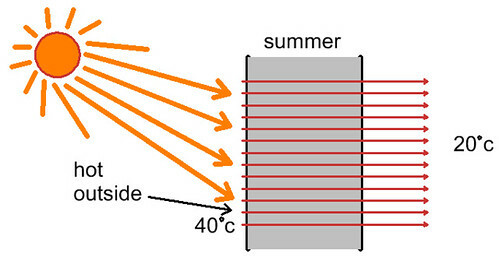 The study by CIBSE Chartered Institution of Building Services Engineers called ‘Meeting residual heating loads in a Passivhaus using solar energy and a seasonal store‘ is very informative not only about the heat store but the whole of the heating design. See also the Viking Passivhaus website. Undertaking this type of self build project would require considerable research and advice as very few schemes have been built. Just think for a moment, if you were investing a huge amount of money into solar energy generation, would you do it in the UK where the average amount of sunshine is about 4 hours per day? Where there are long gloomy winters with little sunlight (about 2 hours per day on average), just when energy is needed most. This must be one of the stupidest countries to do this kind of subsidy. And the whole argument about encouraging the solar industry: would that not be better if left to countries where it will work better and then let the UK be a late adopter? It’s not about whether solar PV is a good thing or not: it’s about spending priorities when it comes to subsidising industry. Of course, since the incentive is there it pays for individual self builders to climb on the band wagon and install solar if the local conditions are favourable. The UK, on its western seaboard, probably has the best potential in the world for tidal and wind energy generation and this is where the money should be going – not into stick-on pv collectors which will take endless years to pay off their manufacturing and embodied energythe total amount of energy it takes to make a material (or a building). See more on embodied energy costs. Maybe they would make sense if they actually formed the roof rather than being stuck on it later. Photovoltaics or PV is the direct conversion of the sun’s energy into electricity (not to be confused with thermal plate solar collectors which heat up the domestic hot water or central heating water). 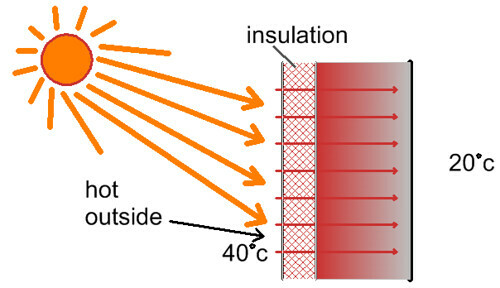 Photovoltaics is usually achieved by a complicated process of coating glass with a silicon material which responds to sunlight by creating a DCDirect Current (the sort of electricity that comes out of batteries rather than Alternating Current which is in the mains) current of electricity from two wires connected to the glass coating. By connecting multiple panels together the voltage can be raised to a level where it can be put through an inverter and used like mains electricity in the house or sold into the national grid. In an extremely sunny climate and where the orientation is correct and shading is minimal. If the location of the building is so remote that there is no connection to mains electricity. If government subsidies are available such as the feed in tariff. Until very recently the method of storing electricity was generally to have a large bank of lead/acid batteries which would charge up when the solar panels were producing more power than you needed so that you could use it later. The trouble with lead acid batteries is that they only last about seven years before they stop charging properly. You then have to replace them, which is not cheap, not only because of the price of the new batteries but also the physical work involved in handling them. The newer lithium based batteries are smaller, lighter and most importantly last much longer. See for example the new Solax battery boasting a 6000 cycle lifespan with a 10 year (3000 cycle) warranty and 95% depth of discharge. Rather than selling excess electricity into the grid for a low price (probably around 5p/kwhkilowatt hour. This is a unit to measure an amount of energy. 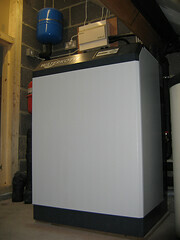 If you run your 30 kW gas boiler for 2 hours a day you use 60 kWh per day.) you can store it and use it later (say in the evening) when it would otherwise have cost you around 15p/kwh. The Good Energy electricity and gas company are at the forefront of local, decentralised, peer-to-peer energy matching supply. See their video here. There are cashback incentives (see below) for installing PV collectors and this has made them into a good financial investment, if not making much ecological sense. The ESTEnergy Savings Trust have an on-line calculator which calculates costs and savings depending on your house’s roof slope, its orientation, the size of the installation and when it is installed. The money spent on PVs would normally be better spent on saving energy in the first place through better insulation or the use of more efficient appliances (and when that has been done then on other environmental lifestyle aspects such as transport, food etc). 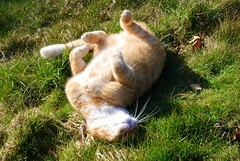 However it is important to keep an eye on market developments. Both Germany and the US are much cheaper for PV than is the UK and things could change quickly here. A recent BBC news item suggests that costs might reach grid parity for most of Europe by 2020. Given that money is usually a limited commodity it makes sense to calculate where that money is best spent. PV should not be incorporated at the expense of insulation or air tightness so if there is a conflict then go for these two first. There is also the option to make the house PV ready so that when prices drop PV can be added later. Being PV ready involves several design factors. The hope over the last 30 years or so has been that through mass production the rather high price of these PV panels would tumble to the point where everyone would have them on their roofs. Due to the inherent difficulties of manufacturing the panels this is only just beginning to happen. The efficacy of a solar panel is measured in kWpkW peak. This is the output of a PV solar collector in bright sunshine (rather than a cloudy day). This is the measure of power in kW when the panel is at its peak output, i.e. bright sunlight striking it directly and cool surrounding air (since if they get too hot the output drops off somewhat). The price has dropped very considerably lately and in conjunction with the FIT it has become an attractive investment opportunity. See more details on the EST web site. See also the Green Deal. A long term study in Berlin showed that living roofsA roof with a covering of soil or growing medium and plants. They tend to be divided into turf roofs with a 150mm layer of soil and sedum roofs with a thinner layer (about 40mm). see Living Roofs improved the performance of roof mounted PV collectors by keeping the air cooler around them. The BREBuilding Research Establishment. ’s Green Book Live web site contains lists of microgeneration companies specialising in PVs. A solar collector is only of use if it is unshaded for most of the mid day passage of the sun, even in the winter when the sun is very low. This needs carefully checking. The Green Book Live web site gives lists of microgeneration installers and it is worth having a survey done before going ahead. Installing solar collectors on a self build project should provide an annual average of about 40% – 50%, maybe even 60%-70% of the domestic hot water for a house based on each person requiring 45 litres per day and allowing about 1 m² of solar collector per person. 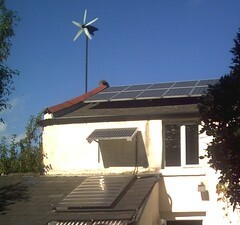 The government Green Deal used to cover solar hot water but the scheme is now closed. See the Renewable Energy Association for their membership list of suppliers and installers and see Yougen for more information. The evacuated tube types are considerably more efficient than the flat plate because they can even work on overcast days. They are also more compact. However they do cost quite a bit more and a ‘side by side’ research project published by the DTIwas the Department of Trade and Industry but is now the BIS (Department for Business Innovation and Skills) in 2001 compared 8 types of solar collectors of approximately the same cost. It showed that the output for the two types was roughly comparable (table 7.2 on page 36). 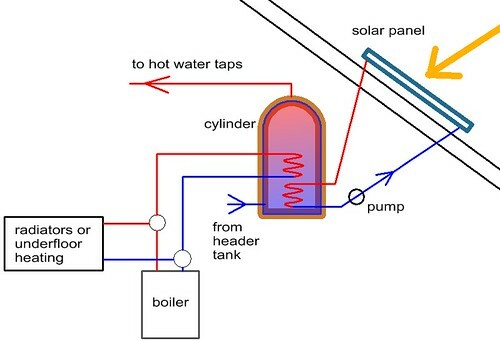 Solar hot water systems can suffer from breakdowns and failures and, unlike solar PV systems which are constantly logging energy output, they are prone to not being well monitored so problems go unnoticed. Choose a system which informs you if anything goes wrong such as if there is a leak or the pump (if you have one) fails. There is quite an issue around the optimum angle of tilt for collectors and this is partly to do with whether you have much choice in the matter. Planning permissionthe legal basis for being allowed to do some form of development such as building a house. (not to be confused with Building Regulations which are all about whether the building is properly constructed). see more on Planning the legal basis for being allowed to do some form of development such as building a house. (not to be confused with Building Regulations which is all about whether the building is properly constructed). see more on Planning may be a problem and it may be difficult to find wall or roof space which is near the correct angle. The DTI report mentioned above indicates that the collectors on test were fixed at an angle of 30º to the horizontal because “a tilt of 30º is typical of modern roofs”. With a large installation (and by large installation we mean a large area of panels compared with the amount of water being heated) this can give overheating in summer and not enough in autumn and spring because it is optimised for a high mid day summer sun. With a small installation it is more important to maximise the summer gain with an angle of around 30º because overheating is less likely to happen and the best use will be made of what sun is available. The exception to the above might be where you include a considerable amount of thermal storage, in which case you may be able to utilise excess summer heating. At the far end of the storage spectrum, interseasonal storage can provide year round heating. With a larger installation it is better to fix the panels at a steeper angle so they make the most of the lower height of the autumn, winter and spring sun and less of the summer sun (to prevent overheating). A rough rule of thumb is that a collector should be at the same angle as the latitude, so this suggests something between 50 and 57º, depending where you are in the UK. The REAthe Renewable Energy Association web site states the optimum for a south facing collector is 0.9 multiplied by the latitude + 29°. This gives something between 71 and 77º. Clearly a long way from 30º. The further you go north, and the larger the collector is the more important it becomes to get this calculation right. It is quite common to mount collectors on a steel frame which is then attached to a south facing wall in order to achieve the optimum angle. If you have roofs facing east and west then it is possible to place a panel on each side to get early morning and late afternoon sun. 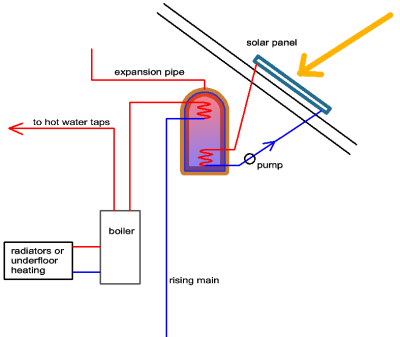 Although there are plenty of companies specialising in solar collector installation you may do better using a plumber who is registered with the REA and has experience in this sort of work (although not many do). This is because a plumber is not tied in with one particular set of component parts and may get better deals. Also, if a plumber is already doing work for you elsewhere on the house it may work out cheaper, especially if the solar collector is tied in with work on your heating system. Remember that on an existing house the installation of a solar panel will probably entail scaffolding to one side of the house (or using a cherry picker). This may well cost around £500 so if you have any other roofing work which needs doing it would make sense to include it at the same time. If you live in a listed buildinga building or group of buildings of historical importance protected by special planning legislation. See an explanation on the Historic England web site it will need listed building consent and if you are in a conservation area you will need planning permission. Otherwise the planning process is moving towards favouring solar panels providing they fit in visually with the building. Local authorities vary slightly on their guidance and most have an advice page so check your own local council. Depending on the extra weight on the roof due to the panel you may need to strengthen a section of the roof. Check with your local Building Inspectors department at the council. There are also other configurations possible. For instance it is possible to arrange it so that if you have a surplus of hot water it can be utilised by the central heating system or stored in an accumulater for use later. working at height is usually a considerable part of the job and requires that the proper safety arrangements are in place. The technology has been improving rapidly over the last few years and many of the examples of DIY projects you find on the internet are out of date. Unfortunately the grants from the Renewable Heat Incentive only apply if registered installers are used, not DIY. For the individual self builder, wind energy will seldom be a viable choice especially in an urban area. This is because the payback time on a wind generator depends on there being an ample supply of wind and a situation for the generator in which it can receive an unobstructed flow of wind from any direction. ‘Ample wind’ means the sort of place where there are few lulls in the wind, ideally you have to lean into it 24/7 for most of the year. ‘Unobstructed’ ideally means no buildings, or woods nearby and situated on top of a hill. Probably one of the worst places for a wind generator is attached to your gable end or chimney in town. There is constant turbulence around the roof of a house, cities are usually more sheltered and the noise[for the purposes of part E of the Approved Documents] - Noise is unwanted sound. and vibration is likely to be substantial. Very often the money would be better invested in higher levels of insulation and air tightness. The Passivhaus approach to house design concentrates on “fabric first’ and then add-on technologies may come later. An excellent report, the Encraft Warwick Wind Trials Project, has recently been published on trials of 26 small scale wind generation installations. It shows the huge discrepancy between predicted energy output and what was actually achieved. The difference was mainly due to inaccuracies in wind speed prediction but manufacturers claims for their generators’ power curves was also to blame. The Energy Savings Trust has a lot of information on generation of renewables. One of the reasons why electrical generation from wind energy might be if you are off grid and have no other means of generating electricity. One of the companies specializing in design and supply of off grid systems is Energy Development Cooperative Limited. (and their shop). Another reason for using wind power might be if you regularly need to pump quantities of water around. Going back through history it has worked well to use wind whenever it was available for this purpose. It’s usually a win-win situation as backup pumps can be used when wind is not available. There are also developments in the pipeline for a more integrated approach to domestic generation in the form of Power Collective’s Ridgblade. This is a horizontal cylinder turbine mounted along the ridge of a building’s roof. This should be worth keeping an eye on. Vertical axis turbines are able to use wind from any direction without having to adjust and they tend to be quieter in operation. See the recent BSIBritish Standards Institute award winning design by Ben Storan. However, if you do live in a windy spot and you have space to erect a tower, it may be worth getting a survey done by a specialist company such as Sun and Wind. This may involve them setting up an anemometer to measure the wind speed for a year to make sure it is worth while. Neighbours can be hostile to proposed wind generators at the town planning stage. Another interesting community based wind project is at the Hockerton Housing earth sheltered housing development. They have an online video explaining the process they went through for installing a 225 kW second hand wind turbine as part of a Hockerton village initiative for green energy. They also have information showing capital cost and power output from solar panels and 2 smaller wind generators (5kW and 6kW) which were installed at the earth sheltered housing project. This sort of hard information is very welcome because it is actually quite difficult to get hold of. Most times the figures you see quoted are manufacturer’s ‘ideal’ figures or some one’s ‘hopeful’ projections or else the figures get messed up by breakdowns, changes and incomplete logging. Having been so negative about small scale generation it is best to say that there are some excellent small scale generators around. See, for instance, Wind and Sun’s examples. Also, there is the added factor of the feedin tariff which has recently become available. This is a 120 kW (max) Archemedes screw type generator on the river Ure at Mickley in North Yorkshire. It sits in a goit which, long ago used to feed a flax mill. Installed by the local landowner, it is welcomed by the residents of the village because of its very low noise levels and its contribution to localised energy supply. This type of generator works well where there is a low head of water and it can accommodate large fluctuations in flow rate. The rotating (green part) is produced by a Netherlands company and the white bit at the top houses the generator by Siemens. At the side of it all is a fish ladder. Pico hydro is the name for generating hydro electricity of up to 5 kW. Above that it is called micro hydro or mini hydro. The main benefits of hydro are that it is a fairly constant source of power (unlike wind or solar) and is low maintenance and reliable though it can be expensive to install, especially if any major groundworks need carrying out. There tends to be more power generated in winter than summer and this is when it is needed. Is there potential for hydro generation? Do you have the legal right to extract energy from the water? Is the flow of water regular enough throughout the year? Is there sufficient head to generate power? If you think you can answer yes to the above questions then there is a basic decision to be made: Do you want to go with the government Feed-in Tariff scheme or do you want to go it alone and be responsible for designing and installing your own scheme. Note that to be able to receive cashback incentives through the government ‘Clean Energy Cashback’ scheme the project cannot be on a DIY basis: it has to be carried out by a certified installer. This will include assessment and design of the scheme. The Feed in Tariff scheme offers good long term rewards but there may be reasons you would rather take control of the process yourself. To go with the Feed in Tariff scheme go to the EST Hydroelectricity section (note that Scotland has its own page here). If you want to do it your own way, read on. Because there is very little modern experience of pico hydro in the UK, a lot of the on line information tends to be from abroad, particularly the US where dispersed rural communities and isolated houses have driven the market. Several manufacturers publish useful information. Try downloading the CAT information sheets – Micro Hydro Power Factsheet and Hydro Power Resource Guide. Also check out the British Hydropower Association. Although they deal mainly with larger installations than pico hydro there is a lot of useful information. The University of Nottingham has a Pico hydro web site covering the subject. Although mainly aimed at the developing world, it covers the basics well. Fieldlines.com: The Otherpower discussion board. While Scotland and to a certain extent Wales have potential for high head installations such as Pelton wheels, England is generally more suited to low head turbines such as Archimedes screw and Banki. The Banki crossflow turbine was invented and developed for situations where there is a low head of water, a common situation in the UK. It can work down to a couple of metres or so head. It is also relatively easy to construct for anyone with a small workshop and very basic engineering skills. There’s a useful spreadsheet for design of Banki turbines with detailed instructions here and pictures of one being made. There was a Green Communities program but this was unfortunately abandoned by the government in March 2011. What happened to the Big Society? There is a legacy web site with some useful info. Is a heat pump appropriate? If you are not on mains gas, and biofuel (such as timber, wood pellets straw bale etc.) is not an option then consider using a GSHPground source heat pump. A heat pump which extracts heat from the ground. After a period of a few years when poor system design and incorrect installation proved problematic, the industry seems to be getting its act together. The reason for the caveat about GSHP usage is that they run on electricity which is polluting and expensive to make (until renewable electricity takes centre stage). Using natural gas where possible will almost always work out cheaper and cleaner. This can be explained by the inefficient way electricity is produced in power stations. It takes nearly three units of fuel (oil, coal, gas etc) to make 1 unit of electricity. This unit of electricity is delivered down the national grid system of cables where a little bit more leaks out on the way. That 1 unit of electricity used in a heat pump can then gather 2 more units of heat energy out of the ground which when added to itself produce a total of 3 units of heat in your house. So it goes 3 – 1 – 3. and you end up with the same amount of heat as was used in the power station in the first place. Pretty much like burning heating oil in your own boiler at home. However this 3 – 1 – 3 ratio can vary slightly depending on how efficient the heat pump is. Read on. The COPCoefficient Of Performance. Applied to heat pumps (in heating mode) this indicates the ratio of how much energy they can shift compared with how much they use to do it. So for instance, a ground source heat pump with a COP of 3 will be able to get 2kWh of heat out of the ground for every 1kWh it uses. So it gives out 3kWh when you include the heat off the pump itself. The COP in cooling mode is calculated differently since the heat off the pump is not useful. of a heat pump is the measurement of how much heat it puts out compared with how much electrical energy you need to power it and it tends to range between 2 and 3.5 in practice. In other words, if it is using one kW of electricity to run it, it will give out 2.0 – 3.5kW of heat. Each manufacturer states the COP for their heat pumps over various ranges. This figure is important because it indicates the efficiency of the heat pump and to give a comparison, if it is over 3 then the heat pump will probably be a better option (ecologically and financially) than burning mains gas. If it is under 3 then it will be creating more pollution at the power station than a gas boiler will do in your house. Manufacturers compete to have the highest COPs and they try to measure them under ideal load conditions and with brand new machines. This is how they get figures like 4 or 5. In practice these levels are very seldom achieved. See the EST studies below. Also be wary of figures produced by energy consultants. For instance Nottingham Energy Partnership have a page comparing the cost of various types of fuel and they use a COP of 3.5 for GSHPs. This is very much at odds with the 2.82 average measured in the EST study. The SPFSeasonal Performance Factor. A measure of a heat pump's efficiency when regional conditions (such as average ground temperature) are taken into account is a measure of the efficiency when regional factors are taken into consideration – ground source heat pumps are more efficient in a warm climate than a cold one. Load conditions vary in practice and the COP is very dependent on how hot you want the output water and how cold the ground (or other heat source) is. A GSHP finds it quite easy to raise the temperature from 10ºC (underground) to 30ºC and may achieve a COP of 4 at this degree of lift. It works very efficiently and this may be fine for underfloor heating which runs at a much lower temperature than radiators. This is sometimes called the ‘low carbon heat pump’. If, however you want water to be at 60ºc for radiators and Legionella proof domestic hot water then the heat pump starts to struggle and becomes much less efficient; maybe the COP drops down to 2. This is bad news. Some hybrid systems run at 30ºC for the underfloor heating, 50ºC for the DHWDomestic Hot Water. see the section on domestic hot water and then have an ancillary electric heater which briefly raises the DHW to 60ºC each week to protect against Legionella. The other factor is the age of the equipment. After a few years the COP is likely to drop by a significant amount and repairs will be needed to bring the equipment back up to high operating efficiency. see also the discussion on the ConfusedAboutEnergy web site. The largest UK study by the EST, phase 1, Getting warmer: a field trial of heat pumps, was completed in 2008 on 83 installations including private and social housing. It didn’t read too well. Although some of the better examples come out satisfactorily there are far too few of them, with 76% of the ASHPs not even reaching a COP of 2.8. Problems came from poor installation practices and inappropriate heating systems. Heating controls are also mentioned as a problem but this could apply to any heating installation. A follow up study, phase 2, The heat is on: heat pump field trials by the EST set about remediating most of the systems to a greater or lesser extent and then monitoring them. In 20/32 cases improvements were achieved but some of them actually got worse. The average rating for SPFH4this is the recommended definition of system performance by DECCthe government Department of Energy and Climate Change was increased to 2.82 from about 2.4. for GSHPs. ASHPs were slightly worse, reaching 2.45. This is a far cry from the manufacturers’ claims of 4 to 5 especially when you consider that experts had been sent in to work on improving the original systems. Most of the problems are down to poor design and installation. A great deal in the report is made of customer satisfaction but this is an extremely subjective approach. Considering the very high cost of heat pump installation, it might be quite difficult for customers to admit they were not as pleased as they might be. There is also an interesting study which was done a few years ago on various properties in and around Harrogate in North Yorkshire. These studies contrasts with the many forums where people are coming up with all sorts of ‘facts’ and figures about GSHPs. See for example this one where all sorts of figures are being bandied about. The advice is to go very thoroughly into the subject and don’t necessarily believe the ‘ideal’ figures quoted by companies. Try to get a legally binding forecast for your own particular situation especially since the installation of GSHP involves high capital cost. Bear in mind that the EST report above emphasizes the importance of high quality design and installation. There is an interesting possible exception to the subject when it comes to Passivhaus design. Passivhaus heating (which is absolutely minimal) usually relies on electricity rather than any other fuel and a small heat pump can be used so that the heat is introduced into the incoming ventilation air and also into the hot water system. The BRE’s Green Book Live web site contains lists of microgeneration companies specialising in GSHPs. One of the ways of measuring the natural daylight falling on a particular area in a room is by calculating the daylight factor (DF). This is the ratio, as a percent, of the daylight that reaches a point inside a room compared with what light would be there if there was no roof or building, in other words just an open sky. (It is measured under an overcast sky and is measured at table top height, 850mm, and is averaged over the room). The measurement takes into account how much direct sky is visible from within the room, how bright the external surfaces are outside the room and how reflective they are within the room. 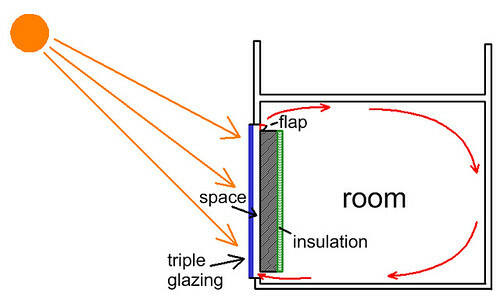 The diagram shows how the light coming in through a window tends to be much more restricted by surrounding shading than is the case with a roof light. It works out that a DF of lower than 2% looks gloomy and artificial lighting is required. Between 2% and 5% is usually suitable without artificial lighting provided it is not for a working area (such as reading or in a kitchen) and anything above 5% looks quite brightly lit. There are various formulas for calculating this but it usually comes down to the experience of the architect. If you are very concerned about a particular lighting situation you can ask for a calculation to be done or you can use the BRSBuilding Research Station Daylight protractor and the Simplified Daylight Tables described here. The brightness of the sky is assumed to be 5000 lux (lumens/sq.m.) and so a DF of 6% requires a minimum level of lighting of about 300 lux for a horizontal working area. Offices are often lit at 500 lux whereas domestic situations may go down to around 50 lux where only a little background lighting is needed. There are government grants available to encourage the small scale generators of electricity such as solar, wind power and hydro. This is known as ‘Clean Energy Payback’ or ‘Feed In Tariff’ (FIT) and it can work well with self build. the tariff is set to encourage uptake of microgeneration by paying you considerably more per kWh you generate than it costs to buy it from the grid. This is especially true for solar and wind. you get paid not only if you sell surplus energy to the grid but also for the energy you use yourself. the payment system is guaranteed for between 10 and 25 years (depending on the type) so the investment is guaranteed. It is also linked to the Retail Price Index to keep in line with inflation. However, due to he present financial situation the exact amounts and timings of the grants have been the subject of change and uncertainty which has attracted much criticism from users and the renewables industry. See the Energy Saving Trust website for current details. There has been a groundswell of community initiatives concerned with greener living and some of them are looking at generating sustainable energy at a community wide level. However the policy which the government has applied to this area lately has put a large question mark over the whole subject. (See George Monbiot’s article A State Licence to Rob the Public for some political background on the situation). This has generally worked well in the more progressive countries in this field such as Denmark. (however there have been some setbacks in Denmark due to varying government support of community energy initiatives). apart from all the green energy listed above, geothermal energy is also one that can benefit us a lot. Heat could also be harvested if you run a car. When you come back from a journey, rather than let the car cool down naturally, attach the car’s cooling system via a heat pump to your central heat store, and you could probably get a ‘free’ tank of piping hot water out of it.